As always, October was a busy month. Everybody likes to host fall events when the weather is nice and October is the month of choice. The first saturday of the month we held our annual SFA Gardens fall plant sale which boasted cool weather and a nice crowd. 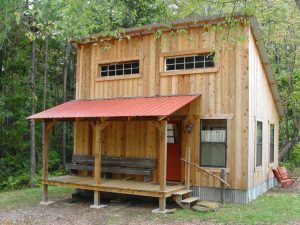 After attending the sale, the Texas Rose Rustlers held their fall cutting exchange at the SFA Pineywoods Native Plant Center and toured my old dogtrot houses in Arcadia later that afternoon. It’s a very fine group with the nicest and most gracious members. They presented me with a beautiful Emanis House mosaic stepping stone hand crafted by their very own Becky Smith. It’s now just off my back porch where I can look at it every day. Thank you (again) Becky! The second Saturday of the month I had the fortunate opportunity of touring an old family dogtrot house in Hemphill, Texas. A very nice lady from North Carolina read my article in Southern Living and invited me to come see her restored family home when she was back in Texas. My cousin Pam and I of course took her up on the offer. 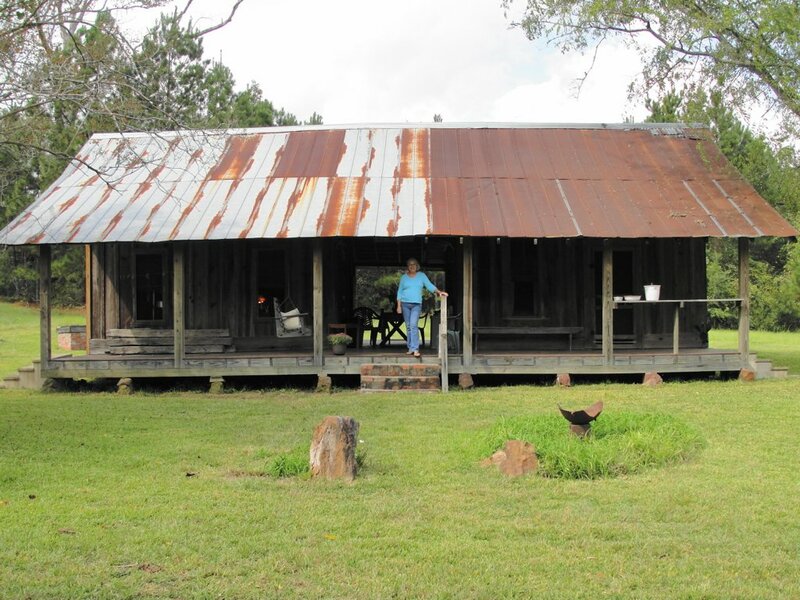 It’s a beautiful old classic dogtrot and she and her late husband did a great job saving it. 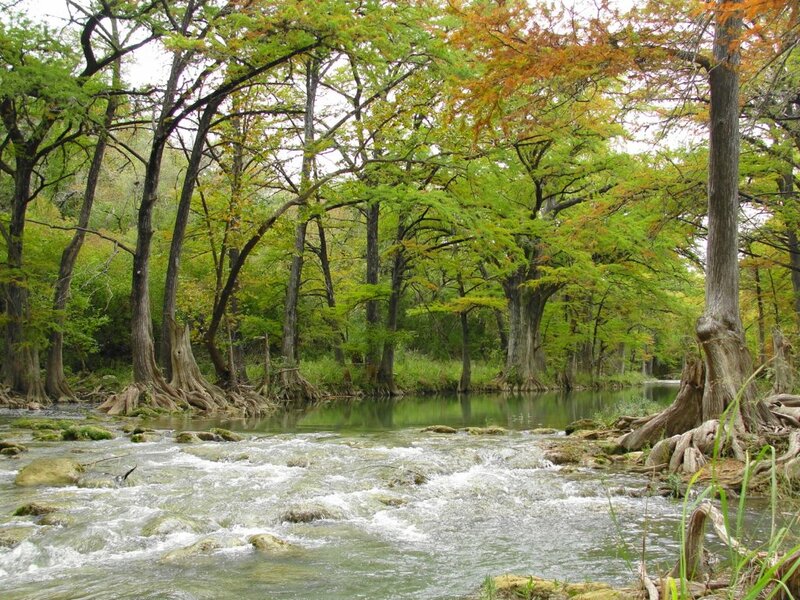 In the middle of the month, the Caddo Wildflower Chapter of the Native Plant Society of Texas had me speak in Linden to mark native plant week in Texas. Linden is a small town in northeast Texas but managed to pack 180 folks in the building for my talk on landscaping with native plants. It was an outstanding bunch and they put me up in a wonderful cabin at Holly Hill Homestead Bed and Breakfast for the evening. The third Saturday of the month found me speaking at the Farmer’s Branch Celebration of Roses along with Dr. Welch and noted California rosarian Greg Lowery. The talks were good but the Earth Kind display gardens there were fabulous. 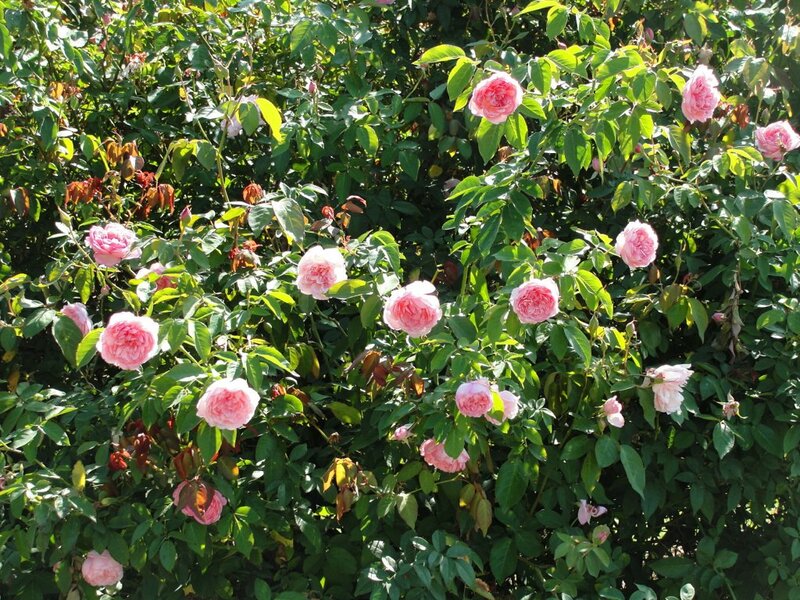 The biggest healthiest bushes in the garden were two of my favorites, Duchesse be Brabant and Belinda’s Dream. Pam Smith there is doing a fantastic job. If you get a chance go visit this garden. It’s adjacent to the Farmer’s Branch city hall. The next day I attended the annual RoseDango event at the Chambersville Tree Farm in McKinney where I listened to Greg Lowery give a fascinating lecture on rose history and hybrid Chinas. 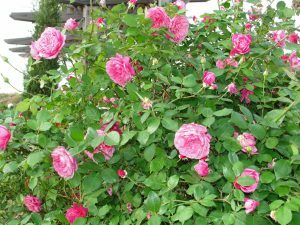 The ever expanding rose display gardens there were equally spectacular with another of my favorites, Mrs. B.R. Cant reigning as queen. This is a large can’t-miss rose garden full of Texas adapted antique roses. I will be back to visit for sure. The fourth week of the month turned out to be a nightmare. First I attended the Garden Club of America Shirley Meneice Horticulture Conference at the Old Glory Ranch in Wimberly, Texas and sat on a panel with friends Linda Gay, Bart Brechter, Gay Hammond, and Robbie Will. I also got to attend rose lectures by Gay and Robbie. 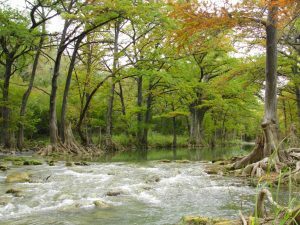 The highlight of the entire trip was the hill country baldcypress along the enchanting Blanco River running along the property. The next day, I spoke at the Longleaf Alliance conference in Nacogdoches and spent all my money on books about longleaf pine which I dearly love. The next day I gave two lectures at Louisiana State Master Gardener Conference in Lake Charles and got to see a number of my friends from my Baton Rouge days. Louisiana is a great place, teaming with cool people , wonderful food, and beautiful gardens. When I agreed to all of these talks I was only working half time. Now that I’m back full time, I will never tackle such a tight schedule again. Heck, I may never go anyplace again! I currently have some new fences being built on my properties to gather in my most recent land gained after almost ten years of legal wrangling and a partition suit. I’m not a huge fan of barbed wire fences but the wooden posts give me plenty of new places to put up bluebird nest boxes. Of course chickadees, titmice, brown headed nuthatches, and flying squirrels are all welcome as well. My flowers are slowing down with one last show of pink Turk’s cap, blue salvia, and Canna x iridiflora. Despite the dry weather, my fall veggies are in full gear with turnips, mustard, broccoli, kale, cabbage, spinach, strawberries, and snow peas all progressing nicely and banana peppers, bell peppers, and glorious fall tomatoes in full production. Fighting cabbage loopers on all the cole crops will be the task at hand over the next month. Acer and Ilex are still a handful. Acer is small and wiry like his mother, while Ilex is taller and stouter like her daddy. Unfortunately, it turns out that Ilex is mostly deaf. This now explains why, unlike her brother, she has never been afraid of the tractor, mower, and blower and sleeps like a rock until you physically wake her up. It certainly doesn’t stop her from causing a ruckus and bossing me (and everybody else) around. I got her a dog whistle and a medical alert tag and will love her like any other but fear something will happen to her, especially with roads nearby featuring speeding log trucks, gas well trucks, and chicken trucks. She rides on my shoulders wrapped around my neck in the truck where she can see everything. I guess my ears are her ears. 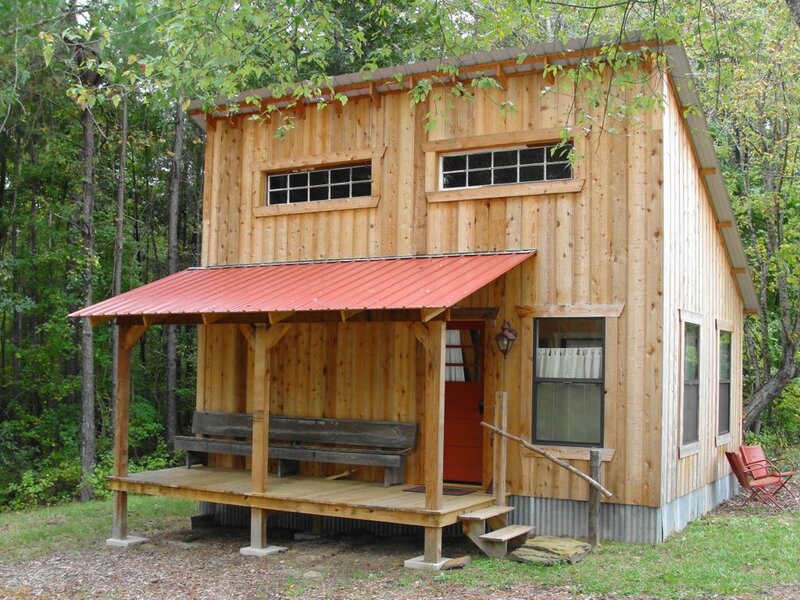 My dogtrout log house at Broaddus, TX was built before 1911. My Grandpa married & moved into this old log home. It has huge pecan trees, pine trees & one antique rose bush which I guess to be Old Blush, but this is only a guess. I was given one of your books for a Christmas gift a few years back, GARDENS OF THE SOUTH. Thank you so much for your interesting, helpful articles. Have a wonderful THANKSGIVING & New Year. ROAD WEARY! I really enjoyed driving along with you on your ROAD WEARY journey. I was almost out of breath as I read the last comment. You have earned a rest, Greg. Once again thank you for your hard work. My daughter moved from Spring, TX so now I don't get to visit Arbor Gate as often as I would like. They are great folks with healthy plants.